My Beijing Expat Life: No Fortune Cookies in China! No Fortune Cookies in China! 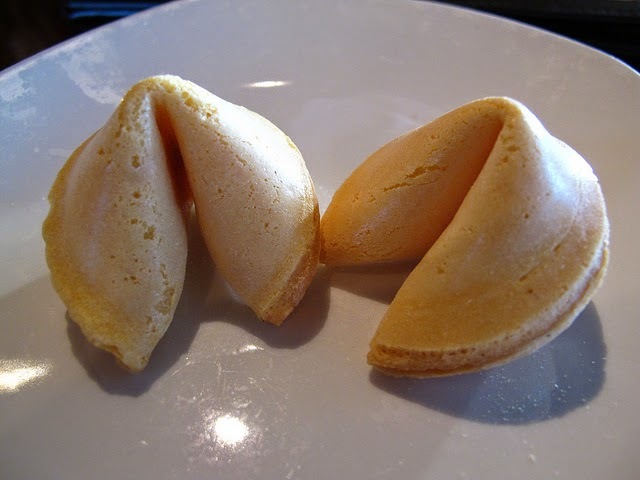 A friend from Beijing just posted a picture of a fortune cookie on Facebook with the caption, "our first fortune cookie in a year," and it reminded me how differently Americans view Chinese food compared to reality. As with any international food prepared in another country, Chinese food in the US is not generally going to be authentic Chinese food. Even within China, the region you are visiting will have different food just like in the US the South is known for fried chicken and BBQ, the Southwest TexMex and the Northeast for seafood. A few common misconceptions from my time in China. I'm guessing this is a made up American tradition. 2. Many dishes you won't find in a Chinese restaurant in Beijing. Hell, let's be truthful, most everything you find in a take away Chinese restaurant, in the strip mall, won't be found in China. Fried rice, yes, but it isn't even quite the same. They cook with a lot of very fatty meat, including a lot of fish and something I found quite interesting is that chicken breast in Chinese dishes is unheard of, the breast seems to be a "throw away" part of the chicken, they much prefer the darker, fattier meat, or feet. You can find foods that seem like an American dish, but then there always seems to be a twist, like it is made with ox, brain, or even pig snout. While very unique kinds of meats are used in China, I've personally never seen cat or dog offered on a menu. My husband has almost ordered dog off a menu a few years ago, so I do know they do use these meats, but I'm guessing it is more rural areas, or it isn't in the restaurants we've been frequenting. 3. Chinese eat a lot of rice. While this doesn't seem surprising to most people, I think the fact that most Chinese eat more rice and vegetables than anything else and only a tiny bit of meat (mostly because it is expensive I believe) will come as a surprise. Bottom line, I'm sure Italians think Italian food in the US in horrible, just like Mexican food in Nebraska doesn't taste like Mexican food in Mexico, or Greek food in Greece is quite different from the Greek food found in Washington D.C. This is one reason, I for one, was happy to get my American Chinese food when I got home this summer. I'd like to contact you via email. Shall I ask for your address? Fortune cookies are from San Francisco.